...or oranges to oranges for that matter. By golly, that looks GOOD! my mind is kinda blown. perhaps i shall go back for more coffee. They're pretty - how do they taste? They are good. Taste just like the oranges at home. More coffee, and ‘orange’ juice? They are pretty, but I thought they were big limes. The lemons here look like limes, and the only way I can tell the difference is that the limes are the size of ping pong balls. Go figure. It's a lime...it's an orange.....it's a.........?? I think someone slipped me some acid cos I'm seeing a lime that went orange. And if I saw that in the supermarket, I'd walk right by, thinking it's a sour fruit and not an orange in disguise. Those sneaky Indians! Orange limes? Is that allowed?! 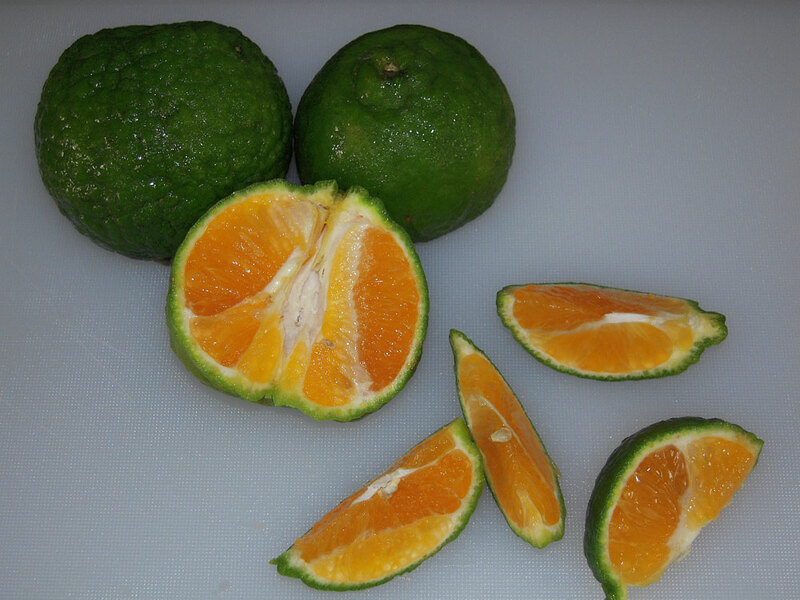 I love that you have tagged the post with both "green oranges" and "oranges". You know, to make sure you cover your bases.